The More™ cat senior food has been especially developed to aid your ageing cat so they can remain the same loyal companion. 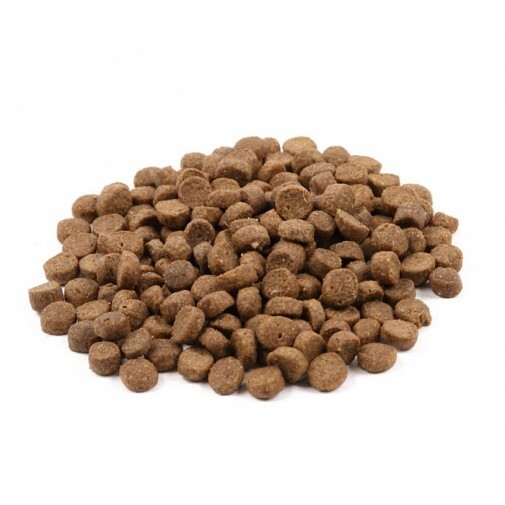 The meat content in this food has remained high in quality and quantity offering the older cat a tasty meal and a highly digestible protein source whilst lowering the damage to your cat’s inner organs. We’ve added extra joint care to the senior line including MSM, which acts as an anti-inflammatory and natural pain relief. The high levels of Omega oils will also contribute to joint care as well as providing your cat with a healthy skin and a glossy coat. Many foods claim to be natural and additive free while still using ingredients that have been artificially preserved. We guarantee that everything in this bag is natural, with no artificial colours or flavours. Preserved naturally with vitamins E and C and rosemary extract. Formulated to ensure a correct urinary pH, with balanced minerals, amino acids and cranberry to help prevent urinary tract disorders. With added Glucosamine, Chondroitin and MSM which work together to repair cartilage and neutralise destructive enzymes in the joints. In the wild, cats would have gnawed on bones as they ate which helped to keep their teeth clean. Our crunchy kibble helps to reduce tartar and plaque in a similar way. No added sugar. With added taurine which promotes healthy vision, a healthy mind and a healthy heart. More™ is very easy to digest because it’s rich in high quality chicken meat and is wheat and wheat gluten free. Contains important antioxidants vitamin E, vitamin C, selenium, lutein, beta-carotine and citrus extracts, rich in bioflavenoids, which have been shown to be essential for natural immune function. We add salmon oil to our formulas because it’s high in Omega 3 which helps to soothe dry, itchy skin and improve coat condition.